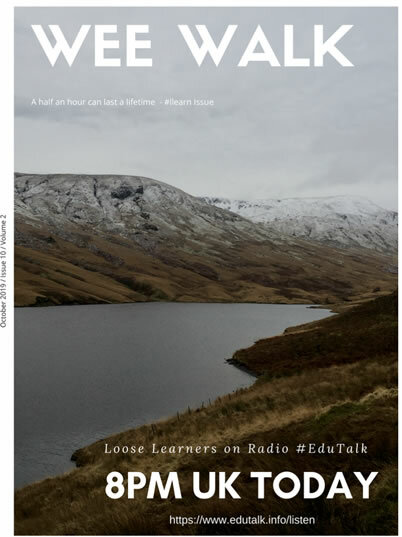 Welcome to Episode 5 of the Loose Learners on Radio EduTalk. The next episode will be on September 6th as we are taking August as our summer break. Without further ado we need to explain our poster for this episode as it is a little bit of an in-joke between the two of us and some of our regular listeners. We always intend to run for 30 minutes and as we meander through our topic, an hour has gone by. We promise to ourselves that the next episode will be 30 minutes and so far we have failed to achieve this goal. So the poster was a little joke on the idea that we have a special and ‘stretchy’ 30 minutes for each of our episodes. In this episode, we thought we would keep to time as we were only covering 1 topic. We were wrong. We also had a few technical issues which we hope will be ironed out on the editing for this podcast. Enjoy. We touch on the more positive notion of habit that comes through in the work of Wendy Hui Kyong Chun in which “she argues that technologies matter most not when they are new, but once their use becomes habitual. Chun explores how online behaviour can be characterized as big data and how individual habits create nuanced perceptions of public and private spaces” Binky could be defined as containing only the habits we carry with us with our smartphones: you can tap, re-bink, like, swipe left or right and, of course, scroll. The content is irrelevant, goes nowhere, all that is left is the medium through our acting out our habit. Chun argues that obsessing about what lies on the ‘bleeding edge of obsolescence’ blinds us to the ways in which things remain in and through our infrastructure, and in and through our muscle memory. According to Chun, ‘we embody the obsolete’ as ‘the past lives on a-temporally and habitually through our personal actions and choices’. John keeps asking of us both through this episode: And what does this have to do with education? Mariana keeps seeking the relevance of Binky to education, mostly through the idea of habit and asking if ‘embodying the obsolete’ without awareness is what we want to instill in our teaching. We further explore the idea of Binky as the ultimate tool for distraction without even a semblance of cognitive or social engagement. This leads us to talk about the relevance of an educational technology that encourages gaming and instant gratification to a balanced education. 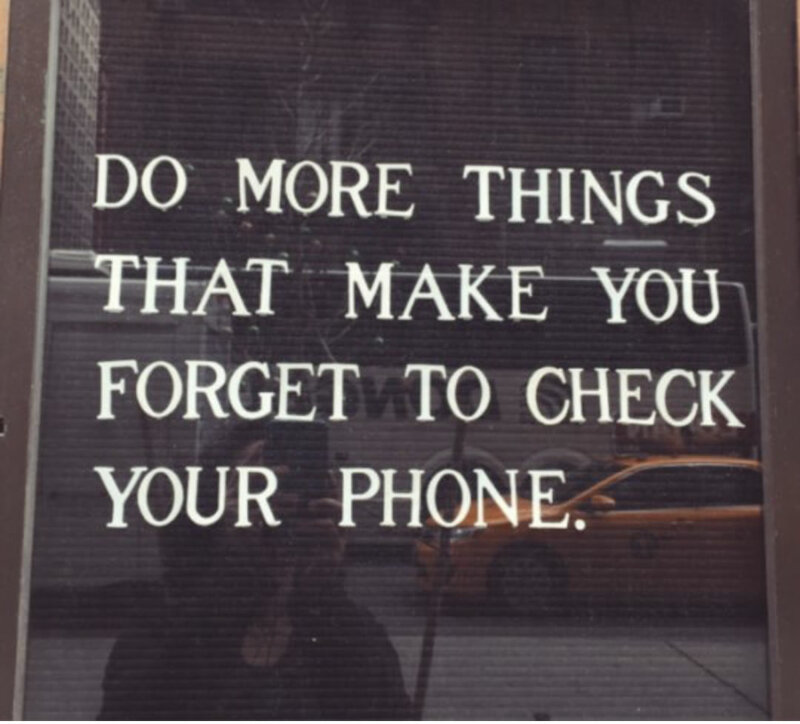 There is a cognitive purpose to boredom and silence and ‘just staring’ which, just maybe, we are losing sight of as we seek to entertain and keep our thumbs busy scrolling. We wonder if Bansky’s quote should be more relevant to our lives and our teaching than it is…. We spend a little time talking about similar apps and wonder if 3 apps a trend make, and what that trend might be. The Mistaken App which allows you to exchange photos anonymously with strangers, and The Minutiae App which one of us thought was a nice way to capture unplanned moments in a photo and the other thought that it, perhaps, marks the final commoditization of the times ‘in between’ performing for Instagram and choosing that perfect filter. Towards the end of the episode we wonder if an appropriate next theme for our September episode might be The Still Web Project which works to create a digital contemplation studio to balance constant distraction and which we use in our teaching. 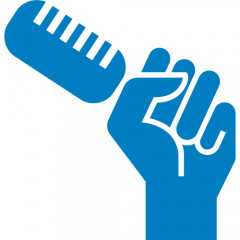 If you have topics or articles you would like us to discuss, please let us know via Twitter, we love new ideas!